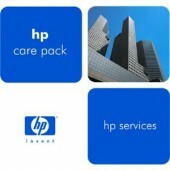 Post warranty pack can be purchased when the product is no longer under warranty or original care pack has expired. SD OS ADV - An engineer will be at your side to perform on-site repairs within 4 hours of HP receiving your call on the same business day Mon-Fri, 8am-9pm. Calls logged between 8am and 9pm. SD OS - An engineer will be at your side to perform on-site repairs within 4 hours of HP receiving your call on the same business day Mon-Fri, 9am-5pm. Calls logged between 9am and 5pm. ND OS - An engineer will be at your site to perform on-site repairs the next working day from HP receiving your call, Mon-Fri, 9am-5pm. Calls logged between 9am and 5pm. AMS - Advance Maintenance Service. This service is a 3 year next day on-site response. It includes 3 annual health checks and the provision of one maintenance kit.